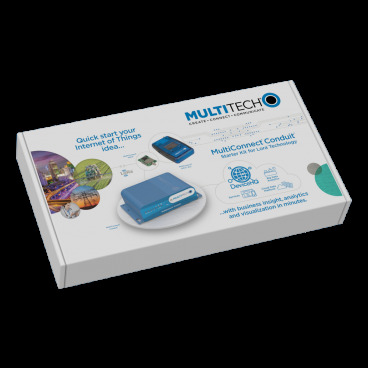 The MultiConnect® Conduit™ IoT Starter Kit for LoRa® Technology provides everything needed to rapidly get your LoRa proof of concept up, running and connected to the cloud – all in one box. The Conduit IoT Starter Kit is designed to enable you to obtain sensor information and display it in the cloud within minutes of opening the box. The starter kit features the MultiConnect® mDot’s and xDot’s Arm® Mbed™ programmable LoRa Alliance Certified™ end points, dev boards, a reference design and Site Survey tool plus the Conduit – the industry’s most configurable, manageable, and scalable cellular communications gateway for industrial IoT applications. 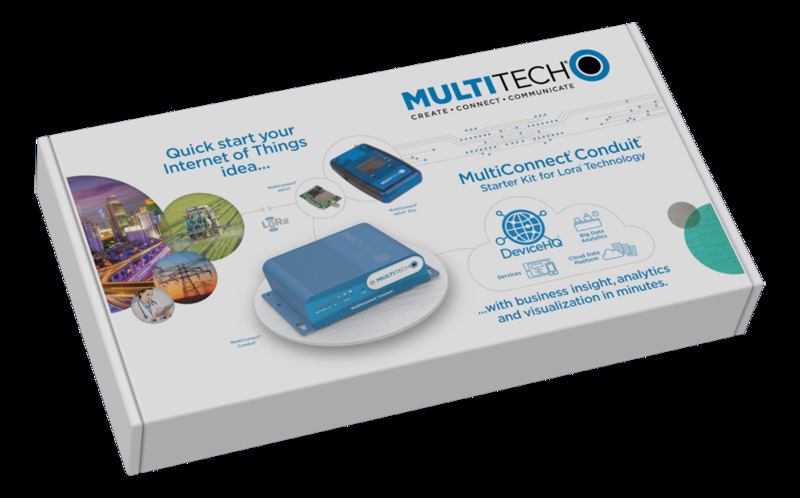 MultiTech understands how difficult and frustrating it can be to get your IoT idea assembled and working properly and has designed the Conduit Starter Kit to greatly speed up and enhance your experience developing with LoRa technology. MultiTech has reduced the hassle and complexity to integrate with confidence the different elements of any LoRa IoT design – sensors, end points, gateways, LAN and 4G-LTE cellular WAN communications to Industry leading LoRaWAN™ network servers and cloud IoT platforms – check out Conduit IoT Starter Kit recipes for more ideas!